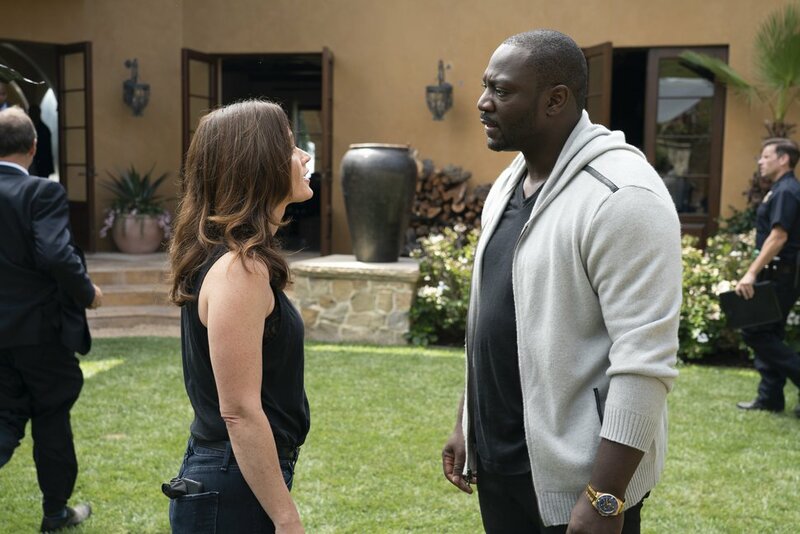 (Photo courtesy ABC/Image Group LA) Marcia Clark is an executive producer of “The Fix”; Robin Tunney stars as Clark's alter-ego. “The Fix” isn’t exactly about O.J. Simpson. Just sort of. Kind of. OK, it’s totally about O.J. Well, partially. This 10-part, serialized drama, which premieres Monday at 9 p.m. on ABC/Ch. 4, centers on former prosecutor Maya Travis (Robin Tunney). Eight years earlier, Maya failed to get a conviction in a high-profile murder case involving a rich, famous, African-American celebrity, Severen “Sevvy” Johnson (Adewale Akinnuoye-Agbaje), who was charged with a double murder. All the evidence pointed to Sevvy’s guilt, but his lawyer played the race card and got him acquitted. Maya became a public pariah. But she’s called out of her self-imposed exile when Sevvy is suspected in a new murder. Oh, did I mention that one of executive producers/writers of “The Fix” is Marcia Clark? You remember her — she was the prosecutor who failed to get a conviction when Simpson was charged with a double murder and his lawyer played the race card. What Clark went through at the time — the mocking, the misogyny — was unconscionable. It took more than 20 years and the Emmy-winning TV series “The People vs. O.J. : American Crime Story” to offer her some vindication. “It’s all stuff that we made up,” Clark added. Mostly stuff about the personal lives of all the characters. Really? Yes, the show’s producers and cast labored mightily to convince us that the outcome of “The Fix” isn’t predetermined, but it’s hard to believe that Clark would be part of something in which the prosecutor loses again. What kind of “revenge fantasy” plays out like that? (Photo courtesy of NBC) The cast of “The Village” includes Frankie Faison and Lorraine Toussaint (upper left); Warren Christie (upper right); Moran Atlas, Ethan Maher and Jerod Haynes (lower left); and Grace Van Dien and Michaela McManus (lower right). “The Village” (Tuesday, 9 p.m., NBC/Ch. 5) • This is an unsuccessful attempt to mimic the success of “This Is Us.” It’s supposed to be a heartfelt character drama about mostly unrelated people who all live in a Brooklyn apartment building — a nurse/single mom whose teenage daughter is pregnant; a law student whose grandfather wants to move in with him; an undocumented immigrant from Iran; a good cop; a young veteran who lost a leg; an older couple, one of whom is hiding a medical condition. Heck, there’s even a dog. But it’s all transparently manipulative, including a Surprise Twist at the end of Episode 1 that’s incredibly contrived. You can almost see the writers laboring to make us cry; their time would have been better spent creating characters and situations that feel real. 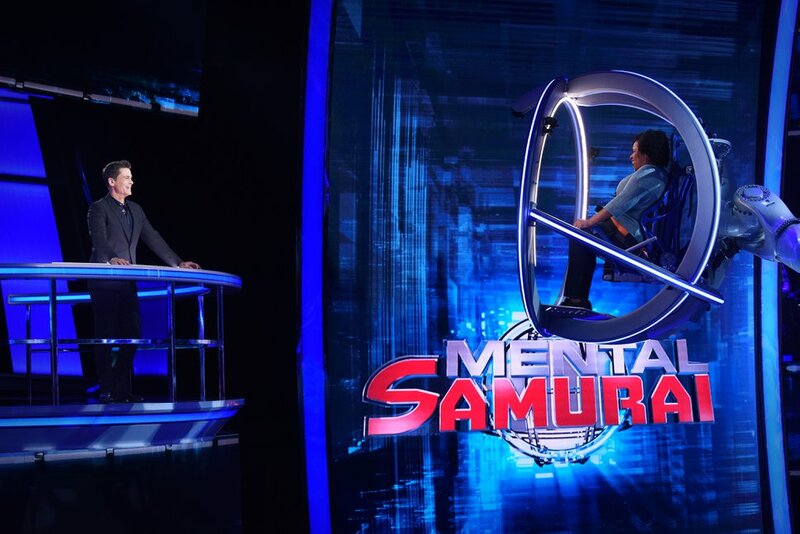 “Mental Samurai” (Tuesday, 8 p.m., Fox/Ch. 13) • So Rob Lowe is a game show host now — he’s the ringmaster for what he tells us is “the ultimate obstacle course for the mind.” Although it’s not an obstacle course, and it has nothing to do with samurais. It’s just a quiz show with a big, shiny gimmick. Contestants sit in a high-tech carnival ride, which swings them around the studio as they face screens with a series of questions. Get 12 right in 5 minutes and they win $10,000 (and a chance to win up to $100,000); get one wrong or run out of time and they lose. The questions aren’t all that tough. The hard part is the memorization, as some questions are about images or information they see for seconds before being quizzed. And it’s pretty stupid for Lowe to tell the first contestant that winning would be “redemption” for the fact that she flunked out of Stanford.